Yepp, my spoiled husband got me to make him more ice cream. And, once again, it's dairy free (and, incidentally, vegan) so that he can eat more of it without worrying about his tummy. AND for all of you peoples with the New Year's resolutions--this is probably right up your alley! 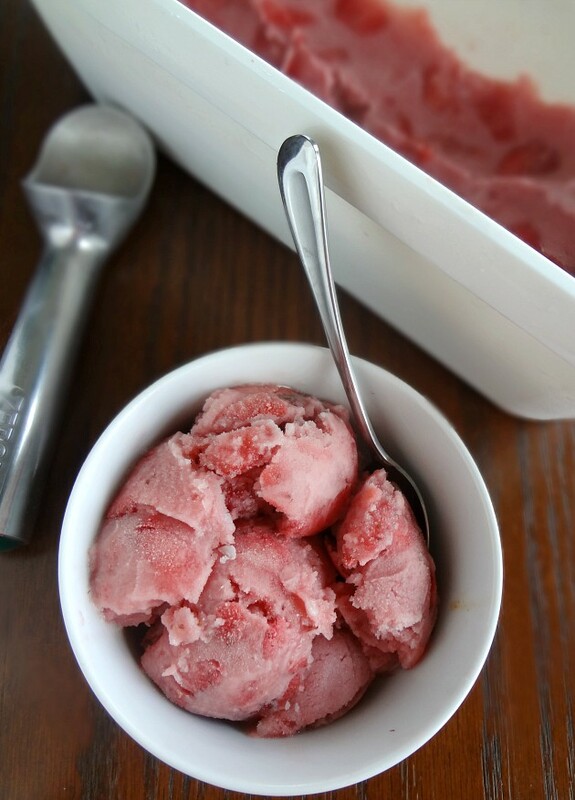 This recipe made me extra happy because it's like healthy ice cream (actually, to be exact, it's sort of like a cross between an ice cream and a sorbet, texture-wise. 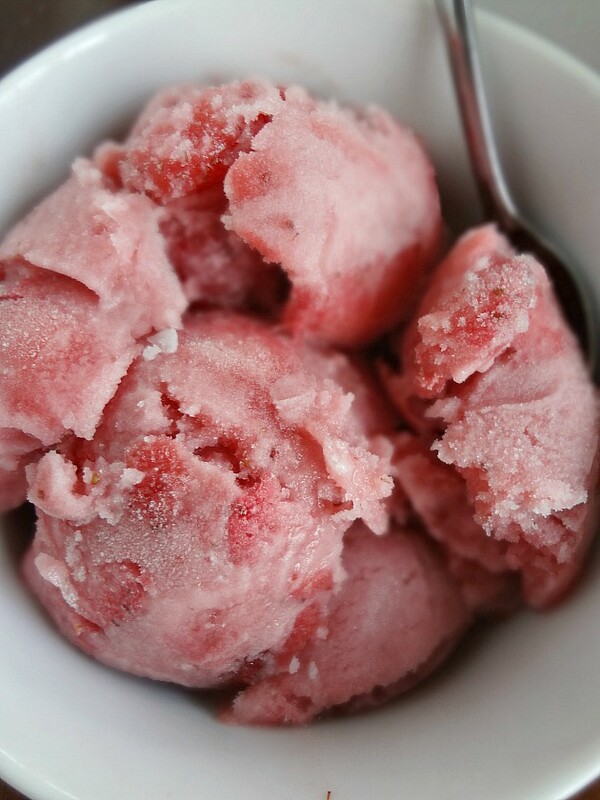 Not quite as creamy as ice cream, but not quite as icy as sorbet.) It's legit just like strawberries, a liquid sweetener (such as agave nectar, honey, maple syrup, etc. ), coconut cream, and non-dairy milk. It's pretty awesome. And Michael looooved it. I will admit, part of what Michael loved is that I topped the ice cream with homemade magic shell...so it was like a chocolate covered strawberry situation. Still, though. Healthy. He's happy. I'm happy. The only reason we're not happy right now is we finally ran out of it (and this recipe makes a good amount, so it took us awhile) and now he's all ice cream-less and I'm stuck with debating if I'm going to make him more or buy him some or make him just live without ice cream because gosh there's a baby coming and I've got bigger fish to fry than ice cream! 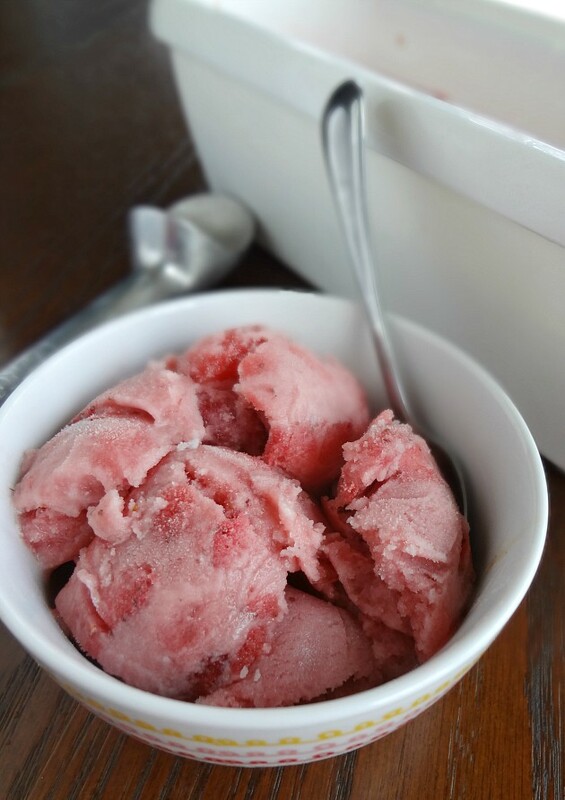 Adapted from The Spruce's "Homemade Dairy-Free Strawberry Ice Cream"
Makes 4 and 1/2 cups. In a medium-large pot combine the cut up strawberries, 1 cup of the liquid sweetener, the lemon juice, and the salt and bring to a boil over medium high heat. Once boiling, reduce heat to medium-low and cook, stirring occasionally, until thickened (you'll want the mixture to be approximately 2 and 1/4 cups, this will take about 25-30 minutes). Keep an eye out to avoid any spilling over. Pour the reduced mixture into a large bowl and stir in the remaining liquid sweetener along with the coconut cream, non-dairy milk, and vanilla extract. Cover and chill for at least 3 hours. Freeze according to ice cream maker specifications. Serve immediately for a soft-serve texture or freeze for at least a couple hours or up to 3 months for a more traditional ice cream consistency. Optional-serve with homemade magic shell on top for a fun chocolate covered strawberry twist! 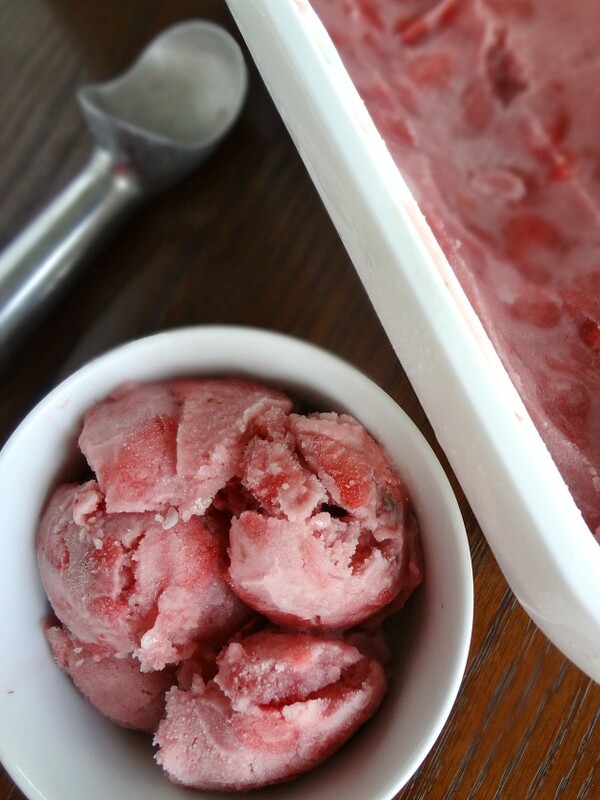 I adore the gorgeous chunks of strawberries throughout!